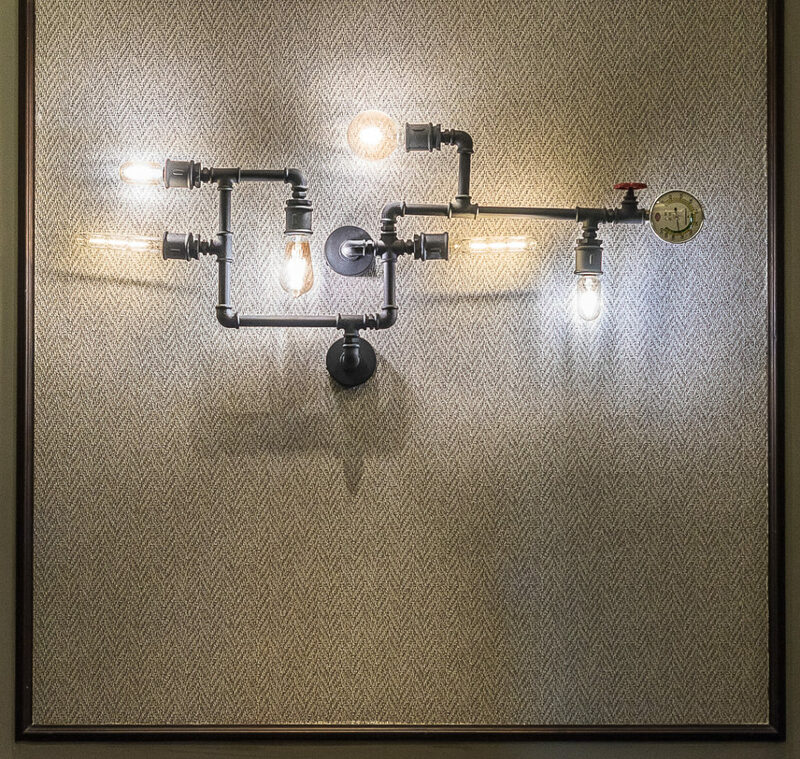 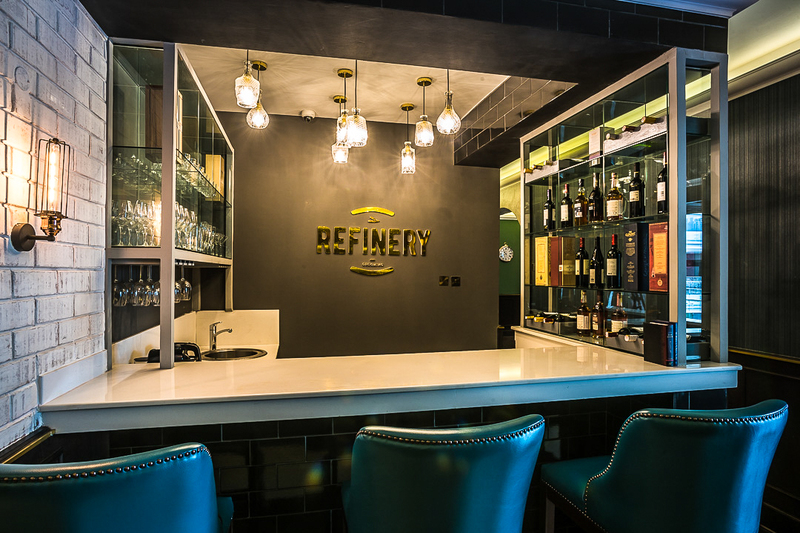 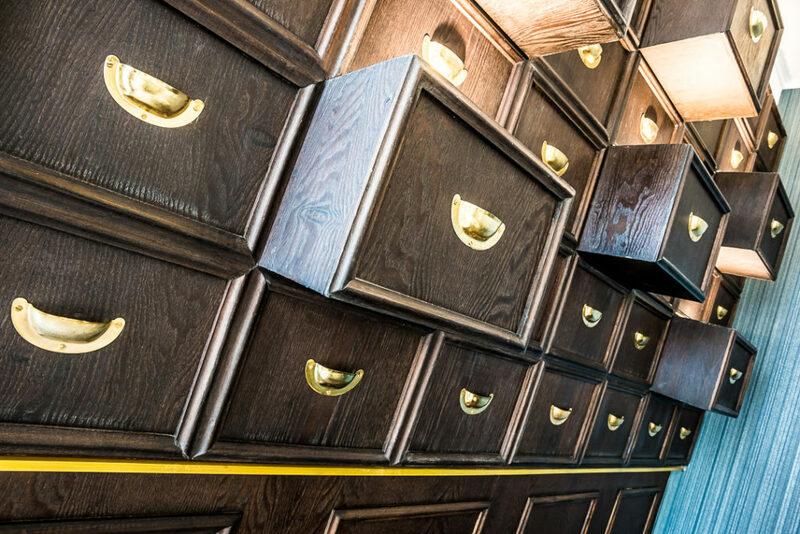 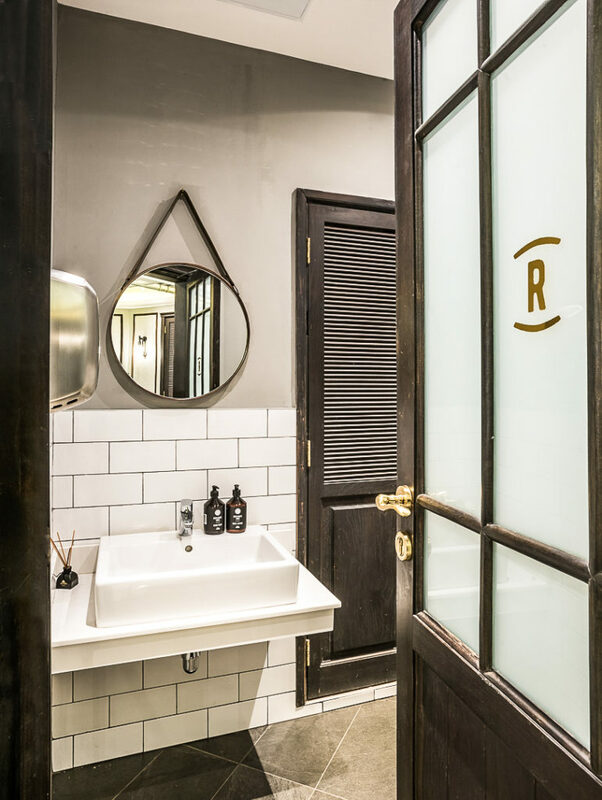 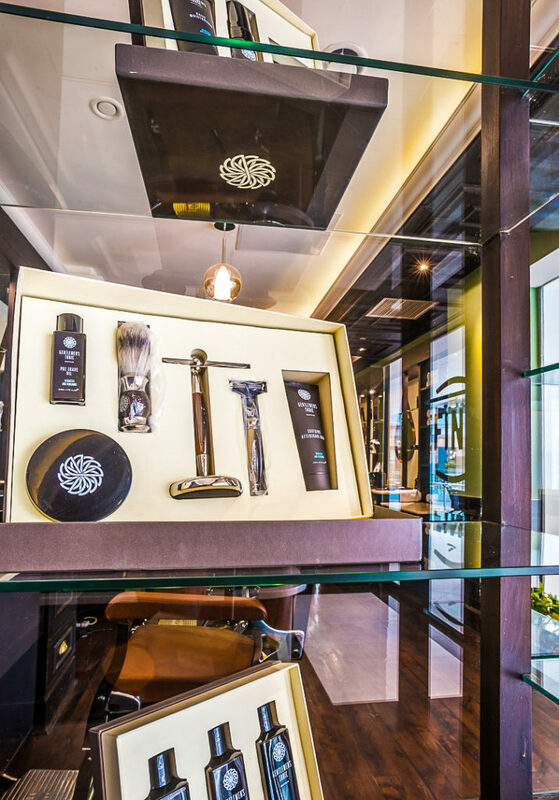 The concept behind Refinery was to create a one of a kind, men’s grooming salon – a first for the region. 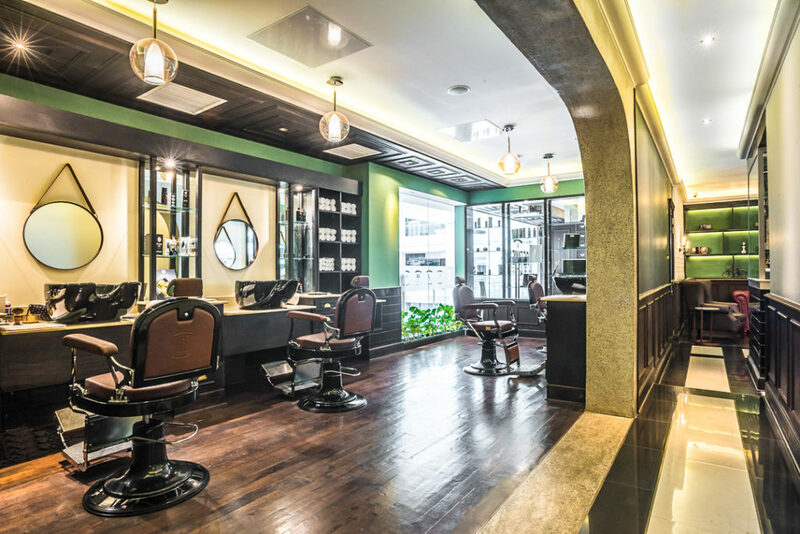 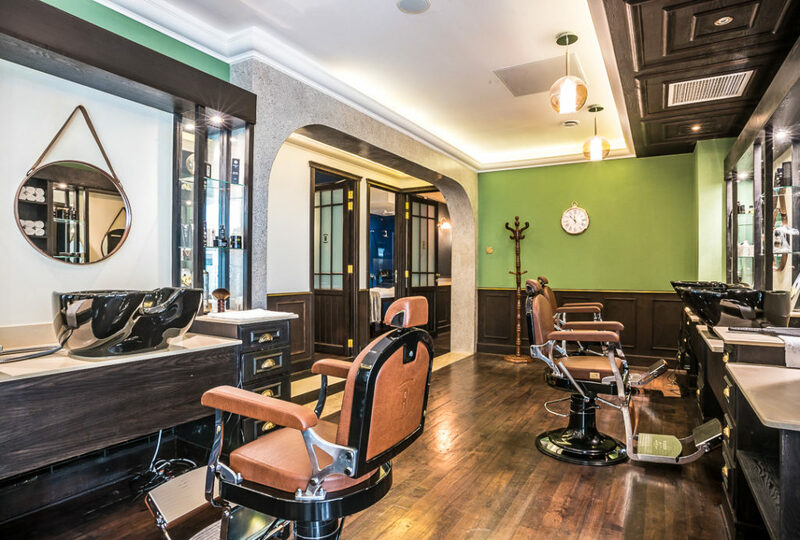 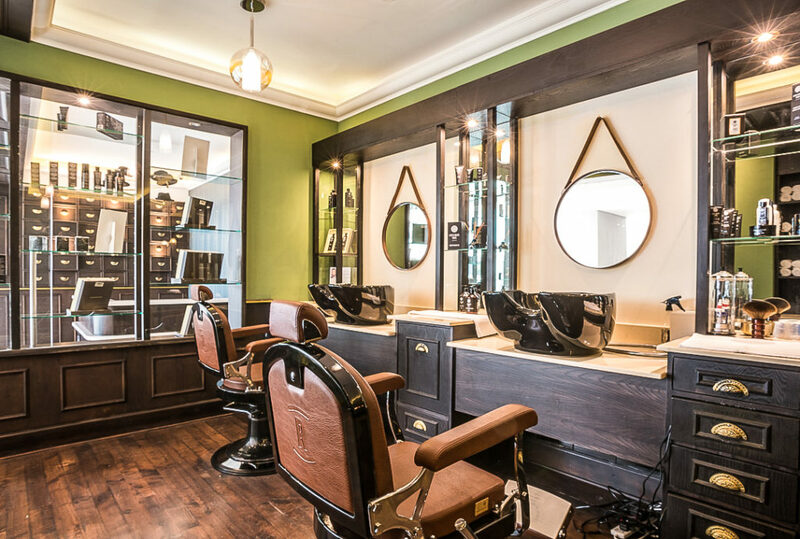 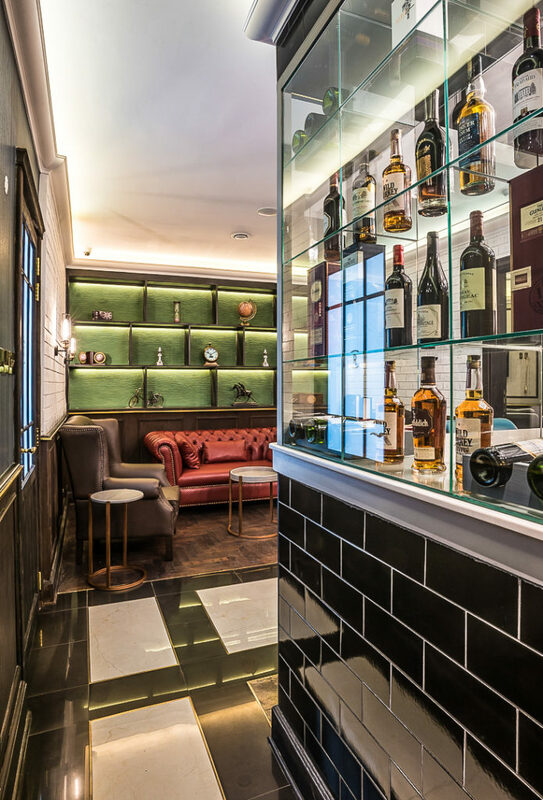 Designed by Studio EM with the fitout executed by Stonehenge, the aim was to create a retro barbershop that offered all the pampering elements amidst a cosy albeit masculine space. 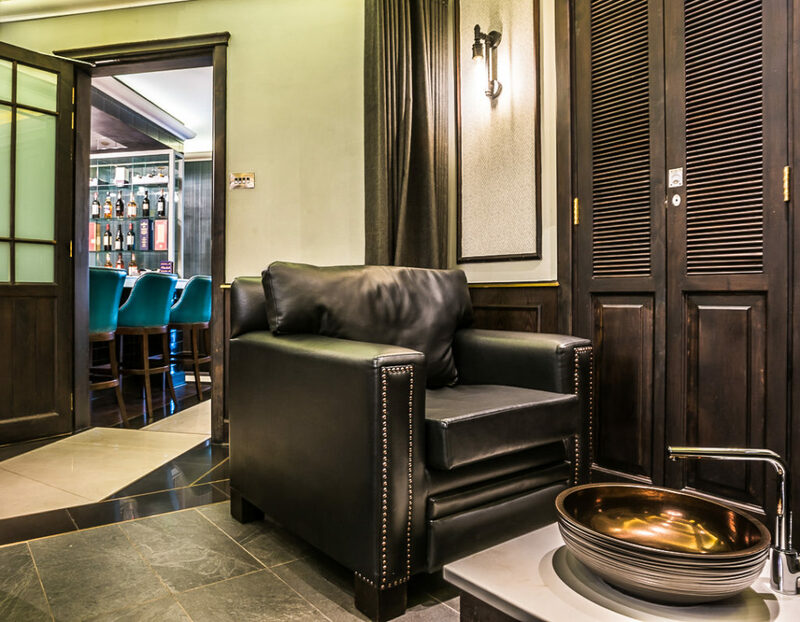 Keeping in line with the classic theme, a few modern twists in terms of floor finishes, lighting, wall coverings and paneling were added, with a resulting barbershop wheres guests can choose to have a private session or mingle with fellow gentlemen at the bar, while having dedicated zones for all kinds of treatments. 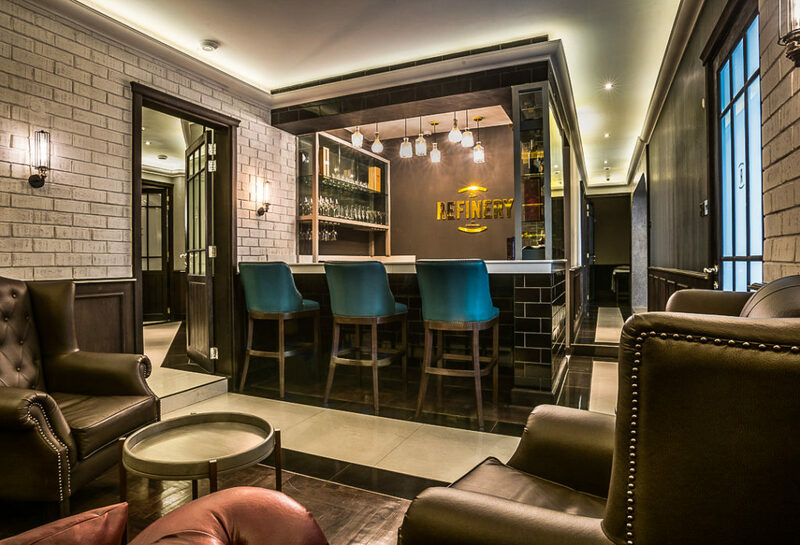 The actual space was smaller than on plan, with more acute angles, proving a challenge for the designers. 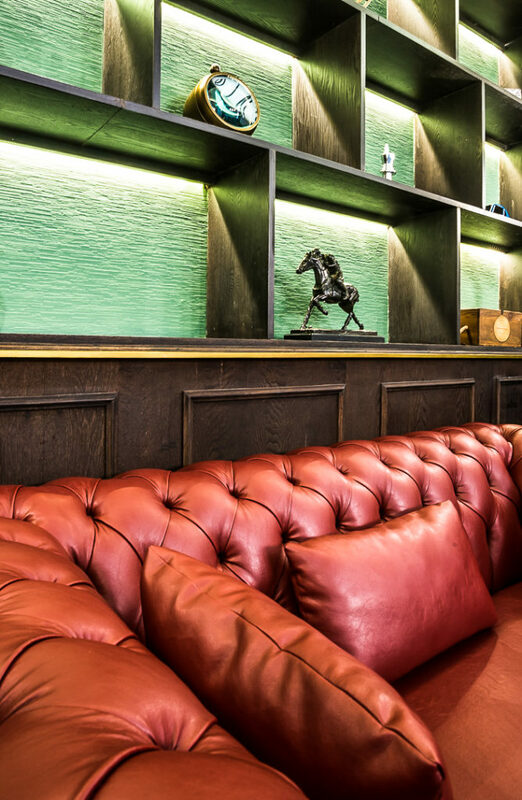 To create a spacious feel, the bulkiness of the furniture was minimised, and lighting and colour were introduced to create the right mood. 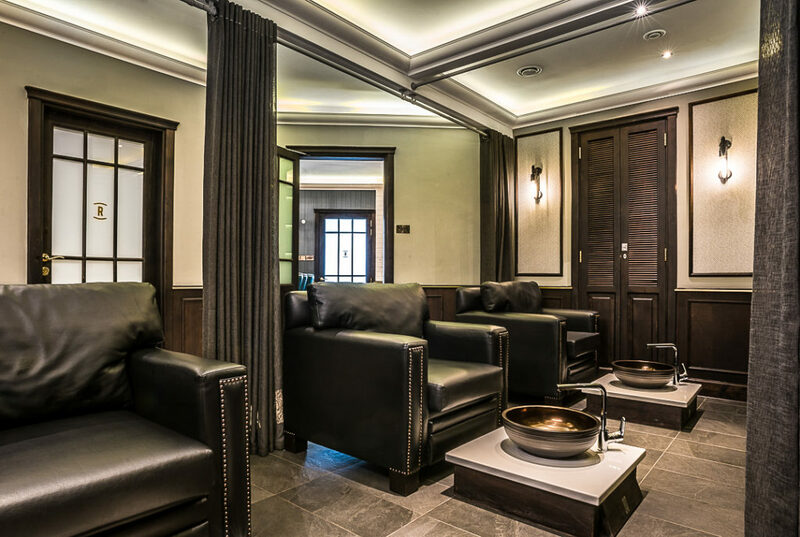 The client carefully selected the furniture to blend in with the space and ensured comfort was key. 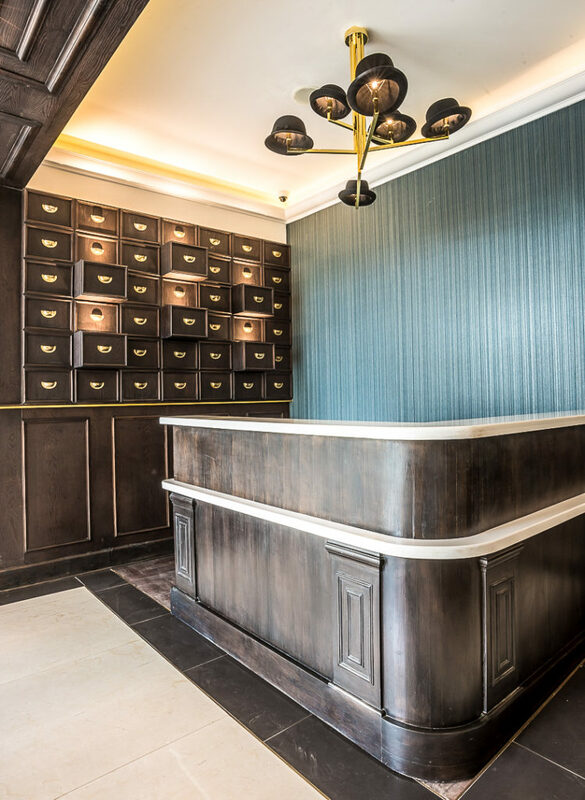 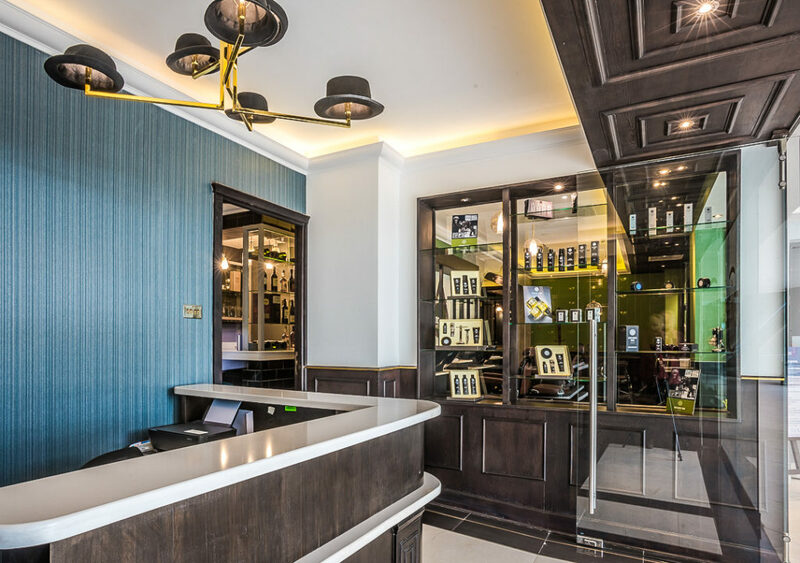 The focal point of the design is the reception, executed in rich, warm tones, which opens to a cosy, relaxed and retro waiting/bar area. 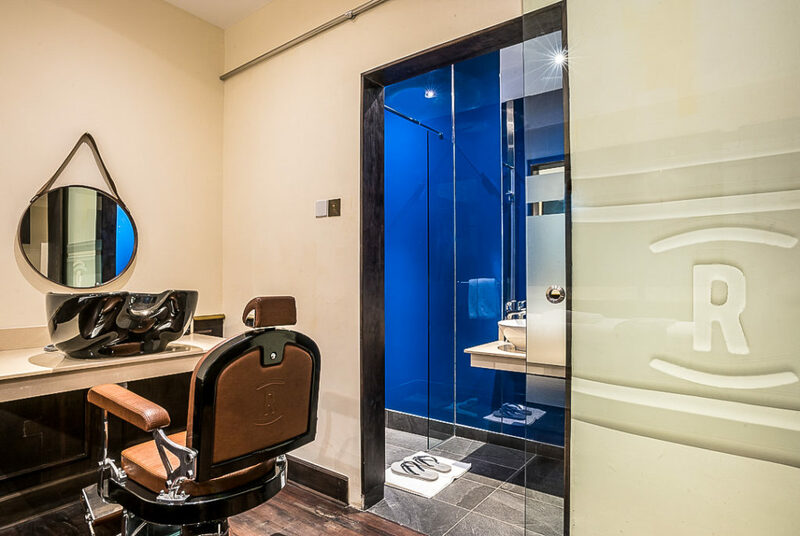 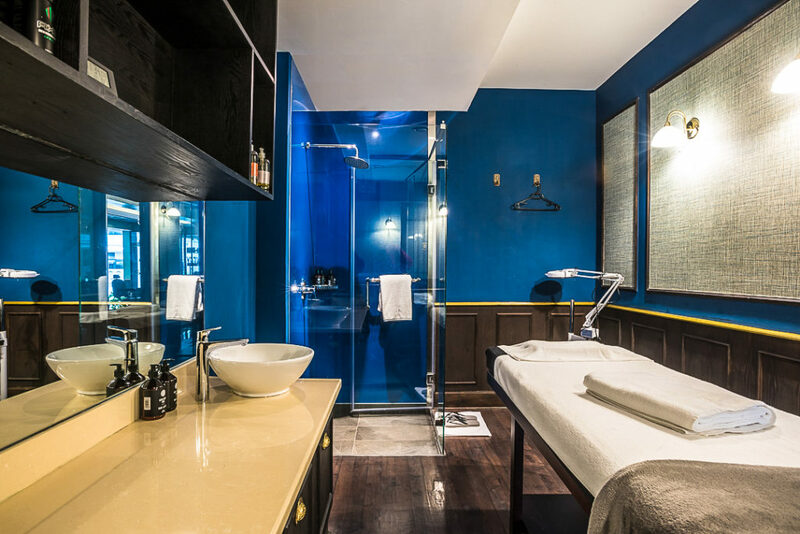 The treatment rooms also exude a vintage masculinity, with the use of glass backed, shower wall cladding in a dark blue giving the space a flawless, well designed look.